The recent two years should be an era of VR (Virtual Reality) which has triggered an incredible storm around the world. Virtual reality has the power to let you interact with some devices for an immersive and sensory experience. If you want to convert conventional videos on your smartphone into VR video formats and enjoy them on a big screen, we searched and we found one amazing video player that can help you with that – iVROX VR player. Let’s see what the app offers you. This VR video converter is developed for Android and iOS users, highly efficient, practical and helpful tool which is allowing the users to easily and quickly convert any type of conventional video on their smartphone in VR video format. 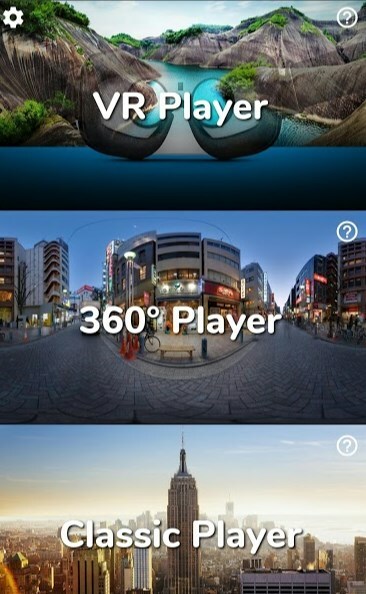 By using this app, users will be able to convert movies, series and videos captured in VR format without much effort. Because this app supports the mode of Side-by-Side, users are offered to convert any conventional video in Virtual Reality video while using almost any smartphone or headset to enjoy them on a big screen whenever they want. The iVROX VR player as the practical video player for android & iOS is allowing the users to convert conventional videos on their smartphone easily and quickly in VR video format. With the help of this amazing app, users are offered to easily watch 360° videos that are captured with their 360° camera or stored in their smartphone using simply the gyroscope of their phones. Users are able with the help of this app to watch any series, movie or video in their smartphone on a real big cinema screen. Just by inserting their smartphone into a VR headset like the iVROX they can instantly enjoy their private cinema whenever they want to. The app is compatible with with iVROX headset and with almost any other headsets available on the market and for users that want to use this app with Gear VR they just need to simply not plug it in the usb port of their phones. On this app, effortlessly and easily users can convert and watch videos, enjoying the most incredible cinema experience anytime and anywhere they are. Download this app on Google Play or App Store for free now to convert conventional videos in VR videos!